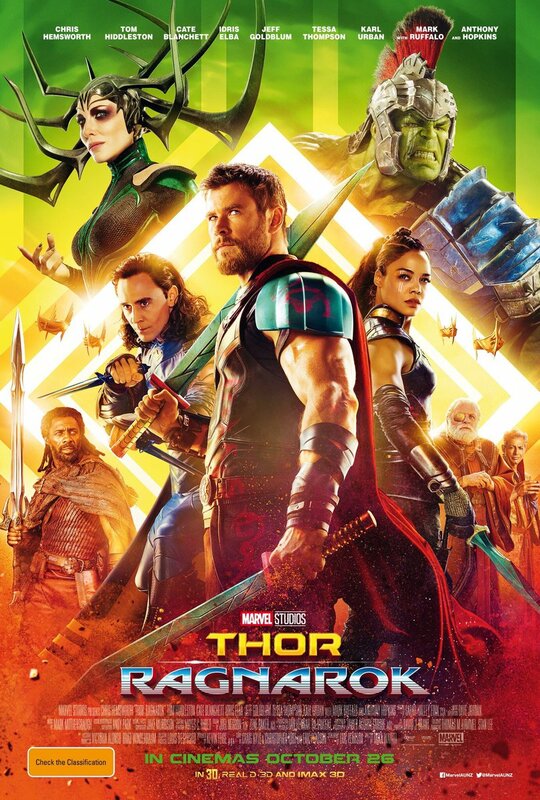 Thor: Ragnarok is the most recent installment of the Marvel Cinematic Universe, a series of movies focused on various heroes and how their stories intertwine. Chris Hemsworth returns to reprise his role as everyone’s favorite Nordic God of Thunder, Thor. Ragnarok throws Thor into his most powerful adversary yet: Hela, the Goddess of Death. Against all odds and through some significant plot twists, Thor is forced to discover the true extent of his godlike abilities. With appearances from the Hulk, Loki, Dr. Strange, and a new ally by the name of Valkyrie, Ragnarok might just be the best Thor movie yet; so far, it has accrued a whopping 93% on Rotten Tomatoes. The cast effortlessly incorporates humor into even the most dire of situations, keeping moviegoers captivated for the entirety of its two hour and ten minute runtime. A feeling of nostalgia arises when viewers hear the 70s inspired soundtrack, and cutting-edge special effects create the sensation within oneself of actually accompanying the cleverly dubbed “Revengers” on their unlikely journey. All in all, Thor: Ragnarok is a wild ride from start to finish. Fans of the Marvel Cinematic Universe and newcomers alike will surely fall in love with this witty, action-packed film. Pictured above is the movie poster for Thor: Ragnarok.